Hey Coffeeholics! Guess whose the new face behind Champion's Fabri-Con -- its the one and only Judy Ann Santos-Agoncillo. She looks absolutely fresh and wonderful in her outfit during the press con as surely as Champion's Fabri-Con is with its Freshness Capsules. I can still remember watching Judy Ann way back during her Mara Clara days. As a champion mom, wife, actress, and woman herself, it is no wonder that she is still a household name and definitely fitting to be the endorser of Champion Fabri-Con. 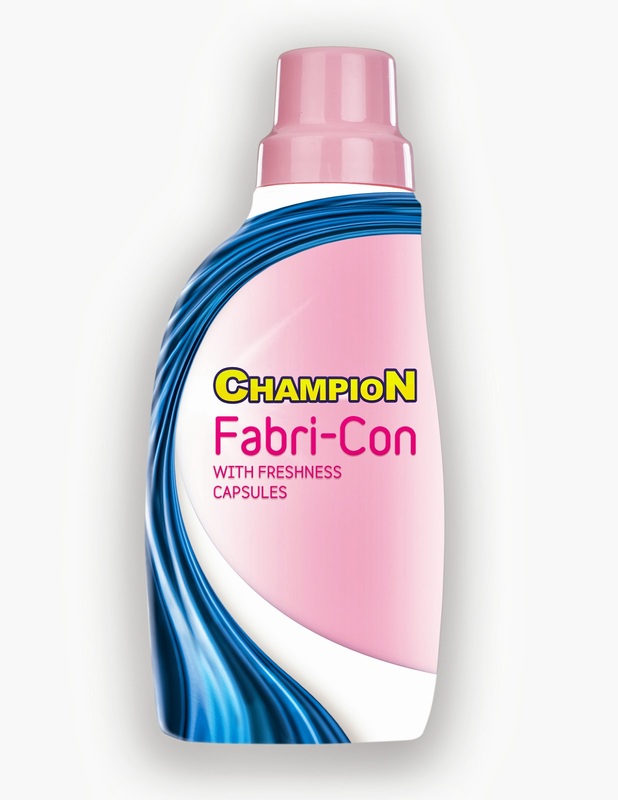 Champion Detergent, currently one of the leading detergent brands in the country, has reached another milestone in its commitment to offer meaningful quality products to Filipino consumers with the release of its CHAMPION FABRI-CON – Liquid Fabric Conditioner with Freshness Capsules. And very much timely as Peerless Products Manufacturing Corporation, the company behind the Champion brand, is celebrating its 50th Anniversary since its founding in 1963. This new product continues the company’s 50-year tradition of excellence in all its products. It was a light afternoon, during an intimate luncheon with friends from print, online and television media at the Paranaque Function Rooms of Shangri-La Hotel in Makati City, when the endorser gamely showed off her newfound love to the newest addition to the roster of premier quality products of Champion. Champion Fabri-Con provides an elegant, well-balanced and sophisticated profile of fragrance—one that comes from all-quality ingredients and that reminds us of the comfort of home. “I use it everywhere, and I always get wonderful end-results. Aside from softening, it also leaves this powdery fresh scent in all my fabrics – whether it’s home linens like blankets and curtains, or the clothes of my loved ones.” That’s the power of Champion Fabri-Con. It makes you feel right at home,” she ends with a smile. So Coffeeholics, feel right at home wherever you are with Champion Fabri-Con fragrance. Don't forget to buy and try it out yourself when you go to the grocery. Happy shopping!